Bariatric Fusion Chewable Vitamin & Mineral Supplement was designed and formulated by a Bariatric Surgical Team to meet the needs of their patients. This chewable bariatric vitamin and mineral supplement provides the highest amounts of key micronutrients vital for weight-loss surgery patients. Bariatric Fusion also contains calcium carbonate and calcium citrate, reducing the need for additional calcium supplementation. You'll enjoy the mixed berry taste, your body will appreciate the wide variety of easy to absorb nutrients. I've tried the tropical and the orange and by far the berry is the best flavor. They are all good, mind you, but this is the one for me. I had VSG 11 weeks ago and I like getting all the vitamins I need in one chewable tablet. I have been on these vitamins since having gastric bypass. I have had great results with these vitamins. The mixed berry flavor is my favorite. Ordering was easy, delivery was prompt and the promotions saved me money. Best tasting, like the idea it has everything I need in one vitamin. I have the muxed berry flavor and they are good but also a little chalky. Will I buy them again? Yes! They are very easy to take. I really like this chewable vitamin. I have the Strawberry and Orange Cream Flavor and like the both. I highly recommend them. Please contact us to submit your review for Chewable Vitamin &amp; Mineral Supplement Mixed Berry (120 ct) - Bariatric Fusion. What I Ate to Lose 78 Pounds ? 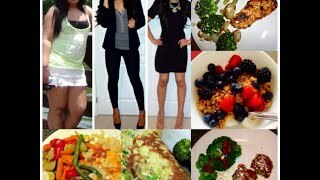 | My Weight Loss Food Diary!